The Washington High School production of Seussical will be held this weekend and the entire community is invited. Gertrude McFuzz, played by Brooklynn S., gives Horton back his clover. The show will have three performances, all held at the Washington Historic Theater. The first two — Friday, Feb. 15, and Saturday, Feb. 16 — will begin at 7 p.m. The final performance will be on Sunday, Feb. 17 and will start at 2 p.m. 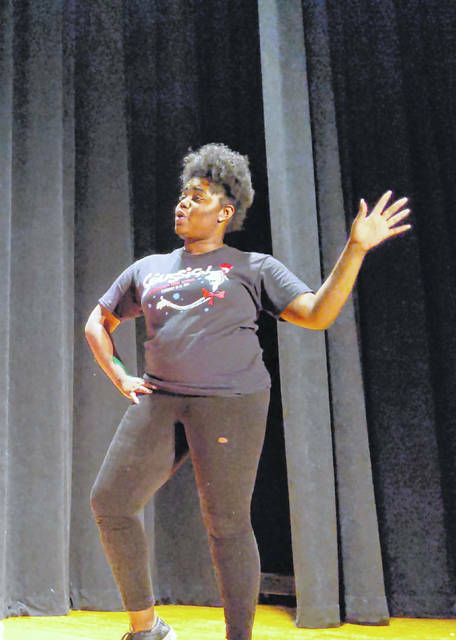 The Sour Kangaroo, played by Ji’Kailah M., calls for Horton the Elephant to be put on trial. The Bird Girls, played by Analese M, Izzy R, Eva S, and MacKenzie T, contemplate what will happen to Horton the Elephant. The mayor of Whoville and his wife, played by Ashton M. and Ali R., discuss what to do with JoJo, played by Ellie M., while the Cat and the Hat, played by Ray D., intervenes. 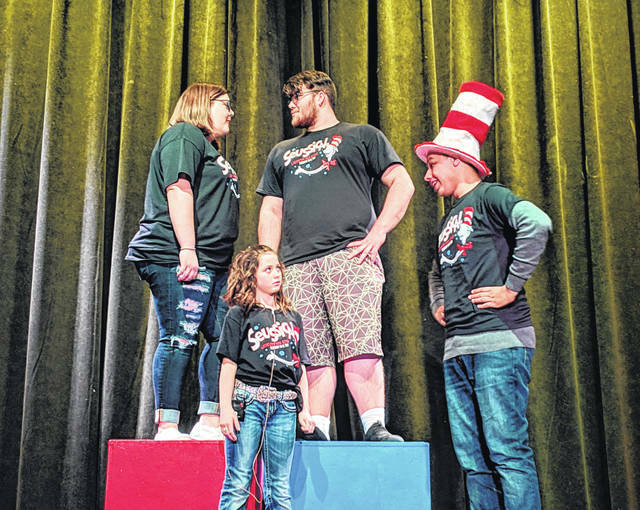 https://www.recordherald.com/wp-content/uploads/sites/27/2019/02/web1_IMG_20190206_212149.jpgThe Washington High School production of Seussical will be held this weekend and the entire community is invited. Gertrude McFuzz, played by Brooklynn S., gives Horton back his clover. The show will have three performances, all held at the Washington Historic Theater. The first two — Friday, Feb. 15, and Saturday, Feb. 16 — will begin at 7 p.m. 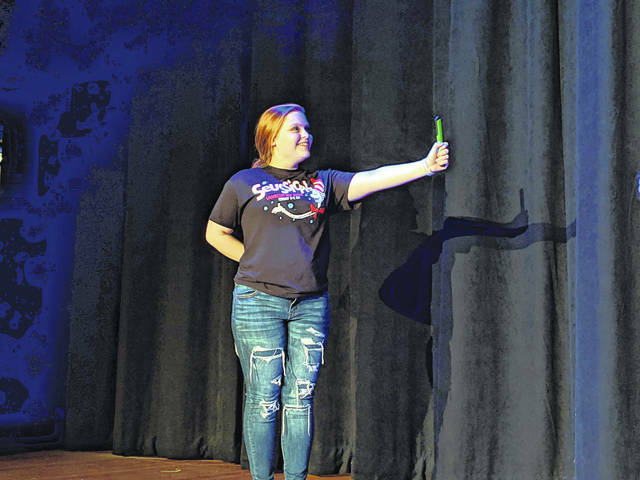 The final performance will be on Sunday, Feb. 17 and will start at 2 p.m.
https://www.recordherald.com/wp-content/uploads/sites/27/2019/02/web1_IMG_20190206_212330.jpgThe Sour Kangaroo, played by Ji’Kailah M., calls for Horton the Elephant to be put on trial. 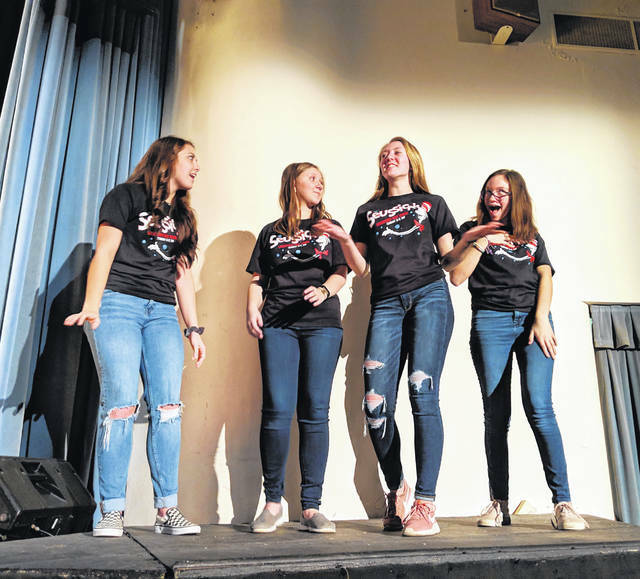 https://www.recordherald.com/wp-content/uploads/sites/27/2019/02/web1_MVIMG_20190206_202415.jpgThe Bird Girls, played by Analese M, Izzy R, Eva S, and MacKenzie T, contemplate what will happen to Horton the Elephant. https://www.recordherald.com/wp-content/uploads/sites/27/2019/02/web1_MVIMG_20190206_212308.jpgThe mayor of Whoville and his wife, played by Ashton M. and Ali R., discuss what to do with JoJo, played by Ellie M., while the Cat and the Hat, played by Ray D., intervenes.